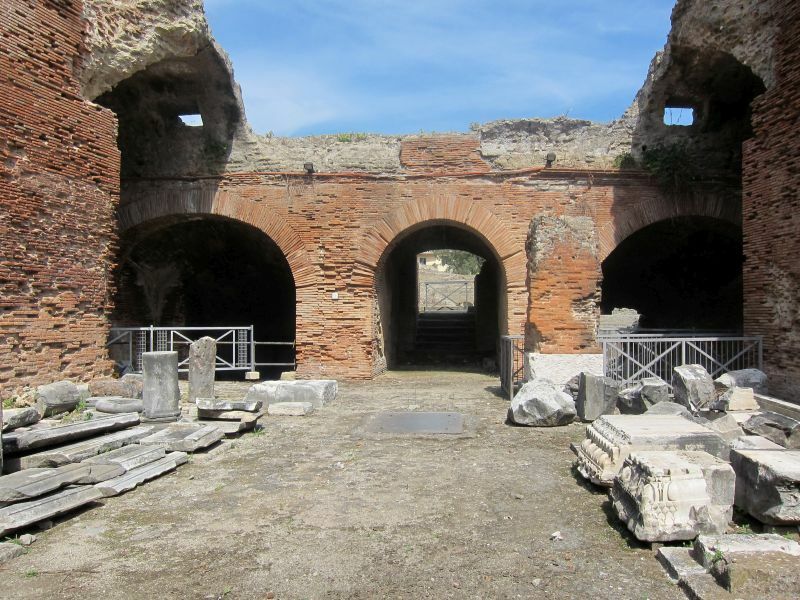 The Flavian Amphitheater (Italian: Anfiteatro flaviano puteolano [aɱfiteˈaːtro flaˈvjaːno puteoˈlaːno]), located in Pozzuoli, is the third largest Roman amphitheater in Italy. 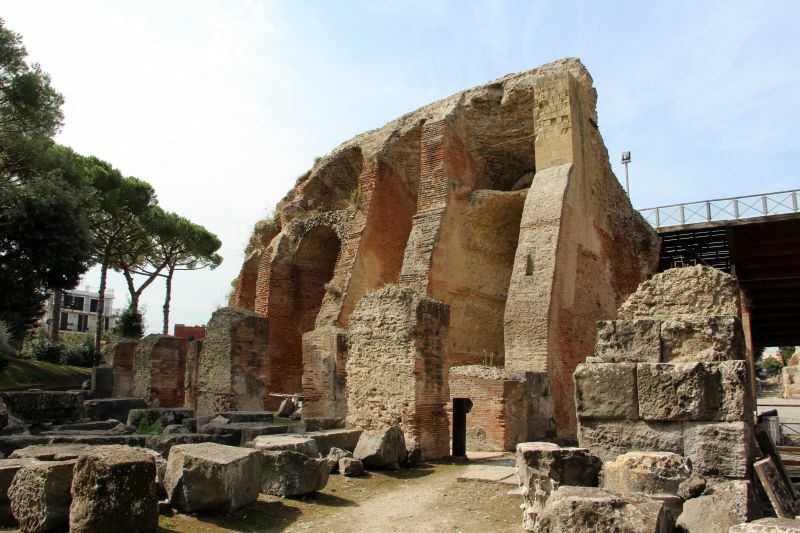 Only the Roman Colosseum and the Capuan Amphitheater are larger. 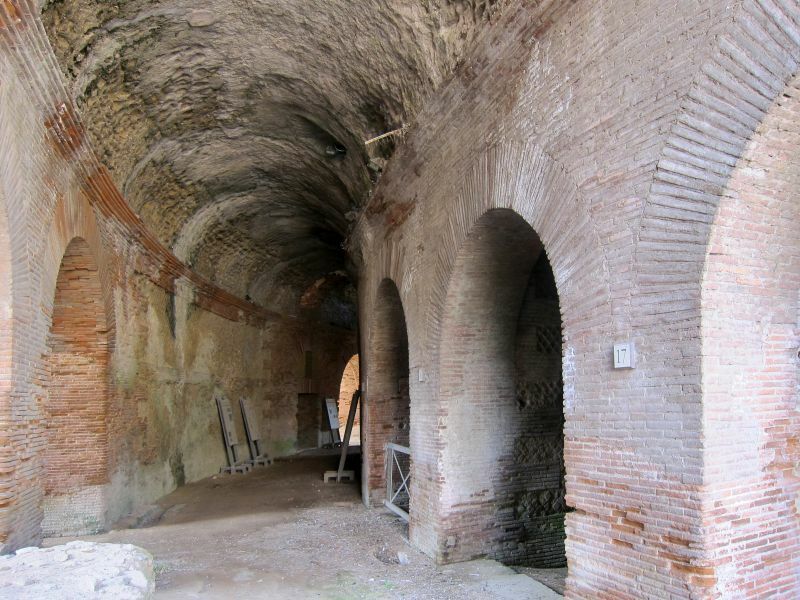 It was likely built by the same architects who previously constructed the Roman Colosseum. 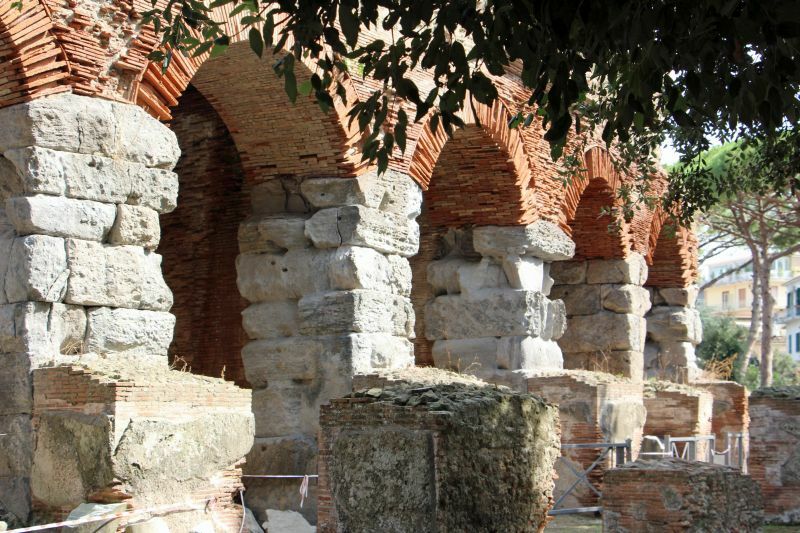 The name Flavian Amphitheater is primarily associated with the Roman Colosseum. 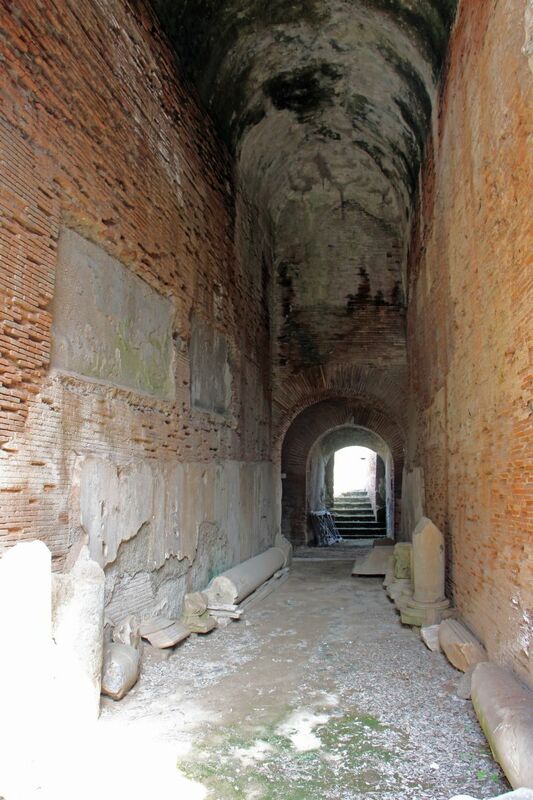 It was begun under the reign of the emperor Vespasian and probably finished under the reign of his son Titus. 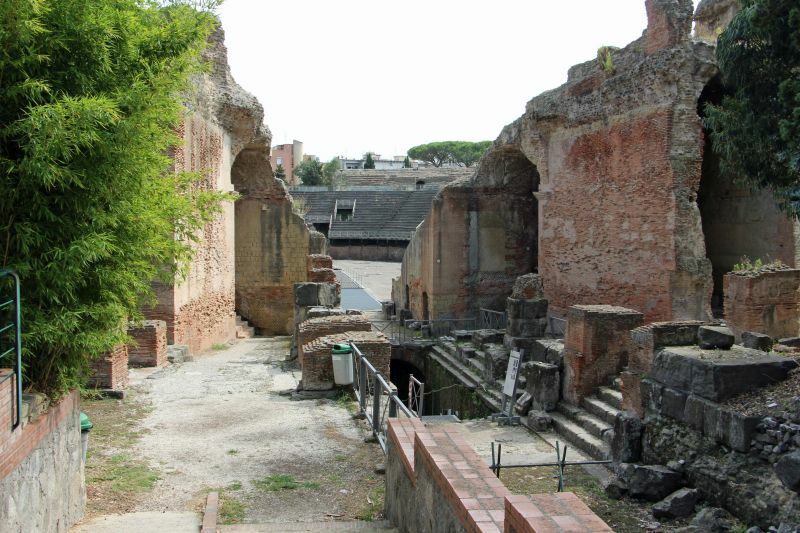 The arena can hold up to 20,000 spectators. 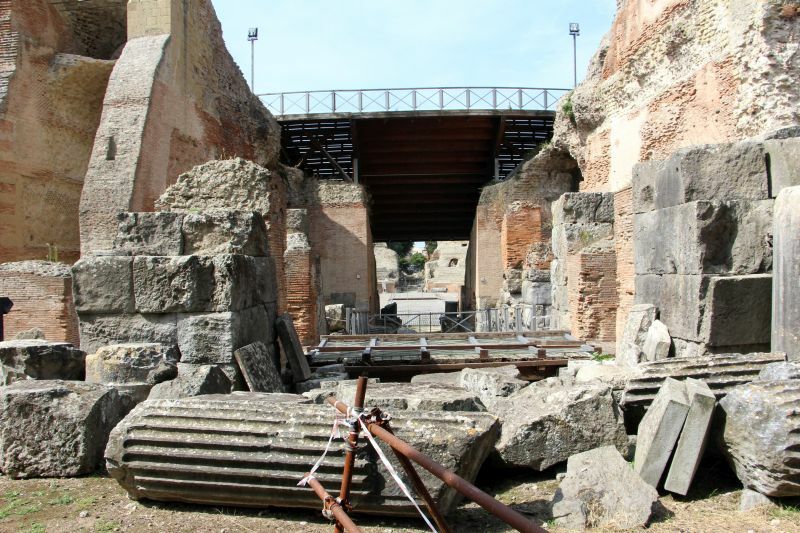 The interior is mostly intact and one can still see parts of gears which were used to lift cages up to the arena floor. 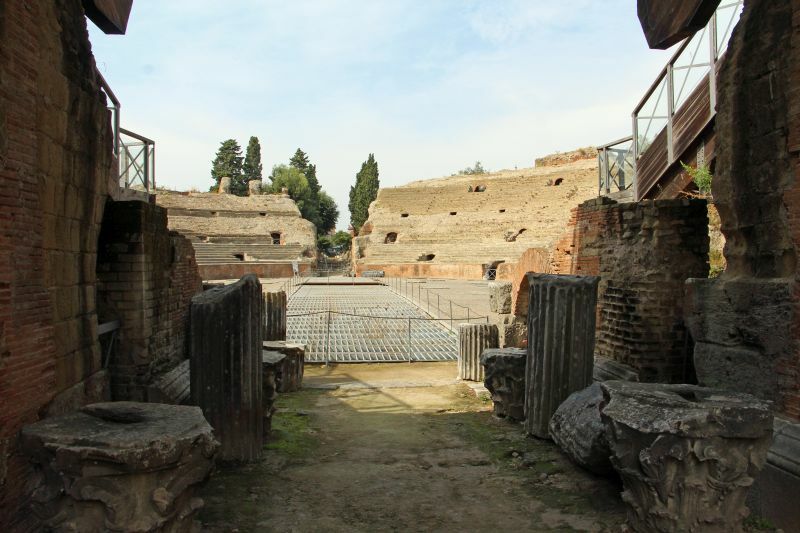 The elliptical structure measures 147 x 117 meters (482 x 384 feet), with the arena floor measuring 72.22 x 42.33 meters (237 x 139 feet). 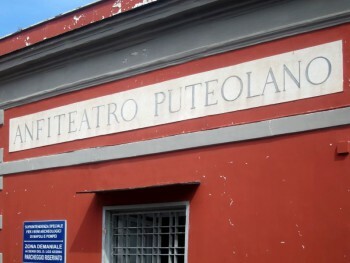 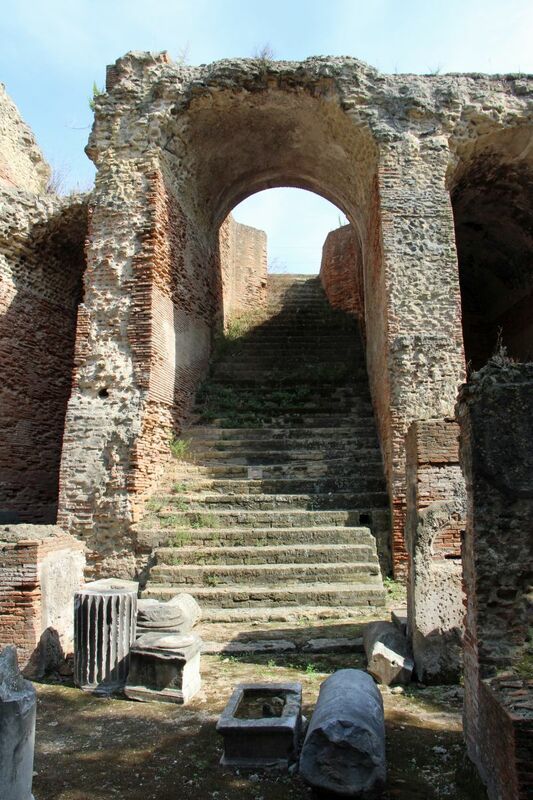 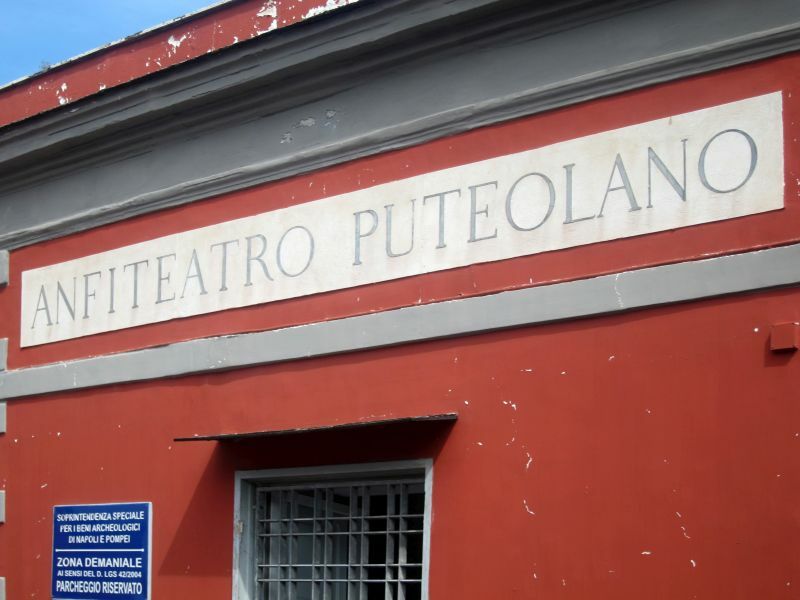 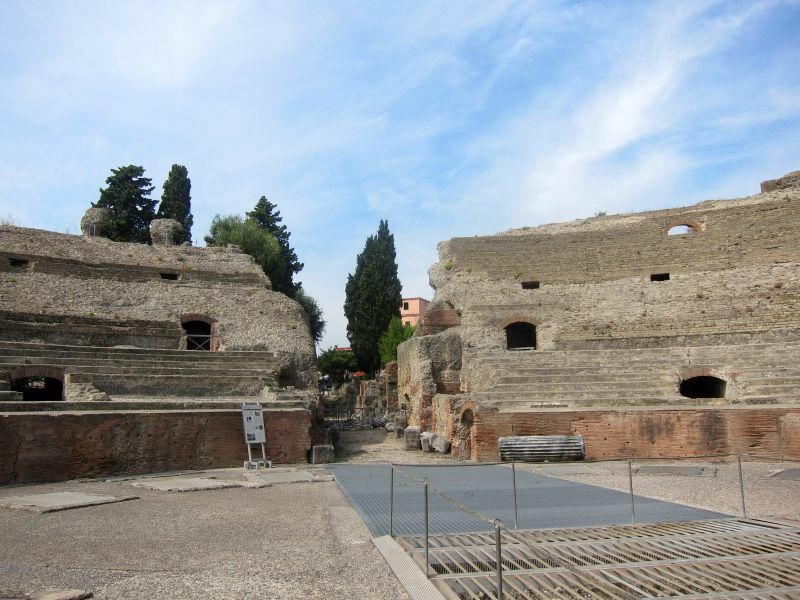 The Flavian Amphitheater is the second of two Roman amphitheaters built in Pozzuoli. 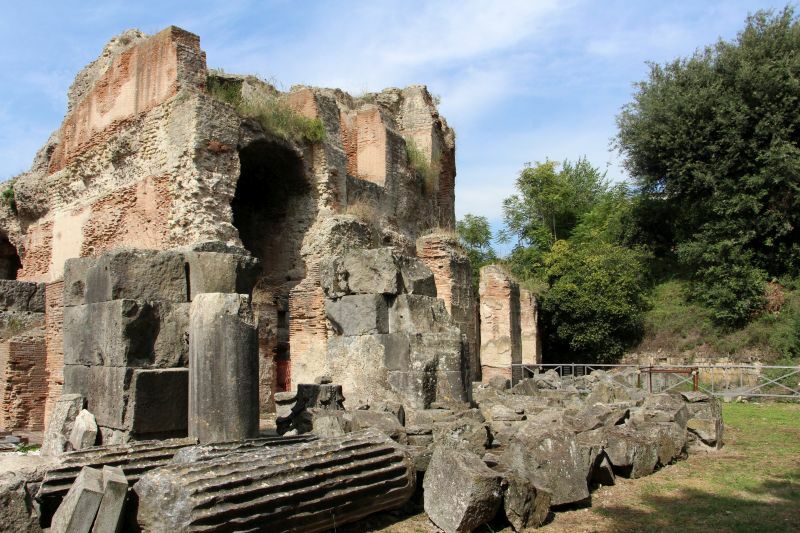 The smaller and older amphitheater (Anfiteatro minore) has been almost totally destroyed by the construction of the Rome to Naples railway line. 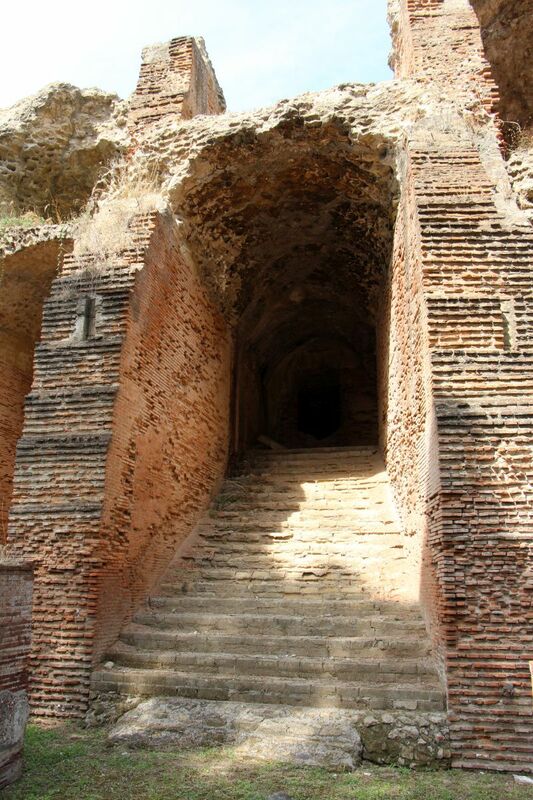 Only a dozen arches of this earlier work still exist. 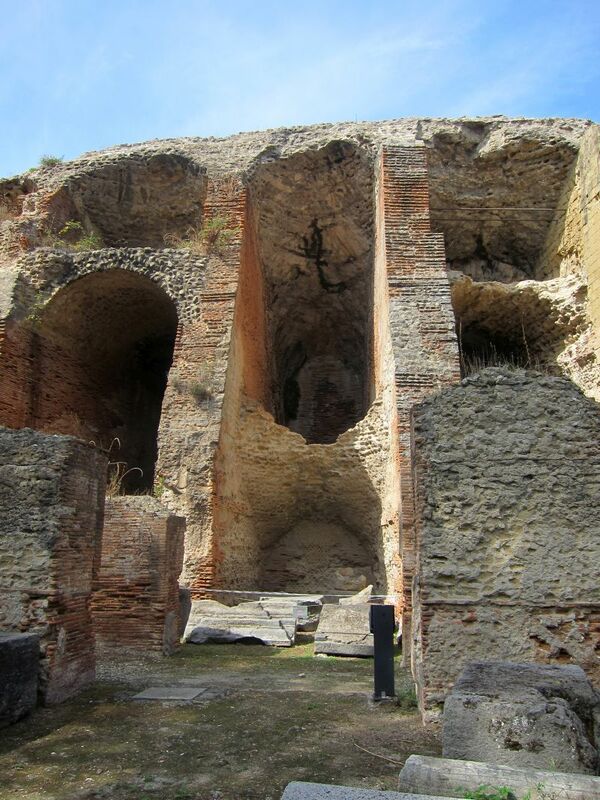 This lesser amphitheater measured 130 x 95 meters (427 x 312 feet). 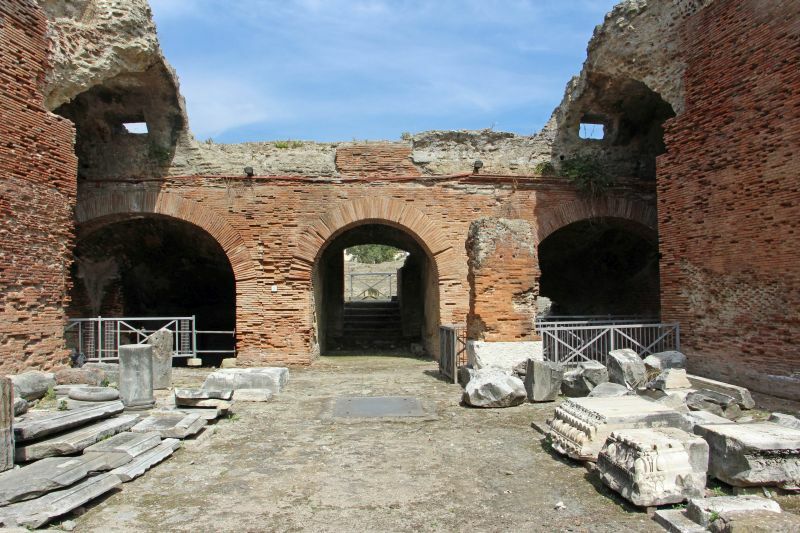 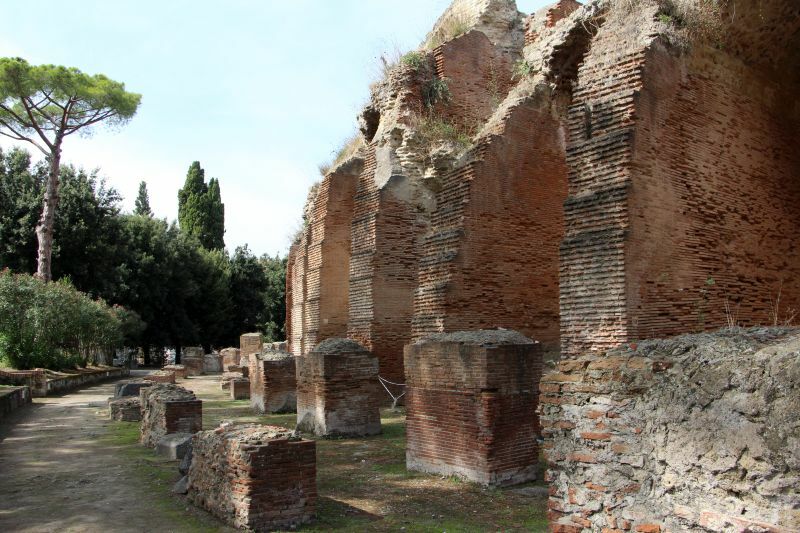 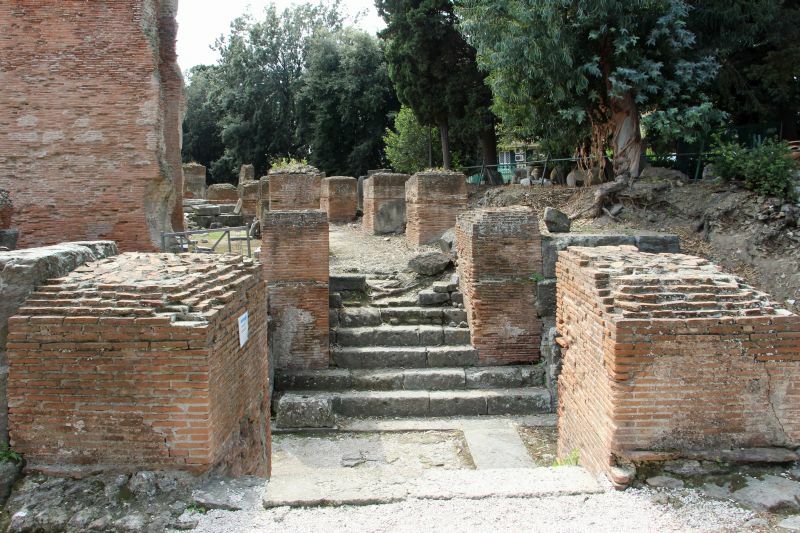 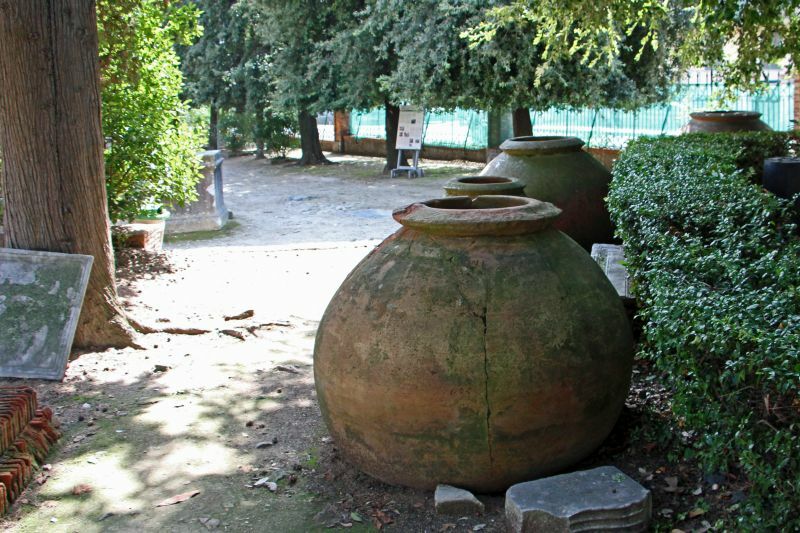 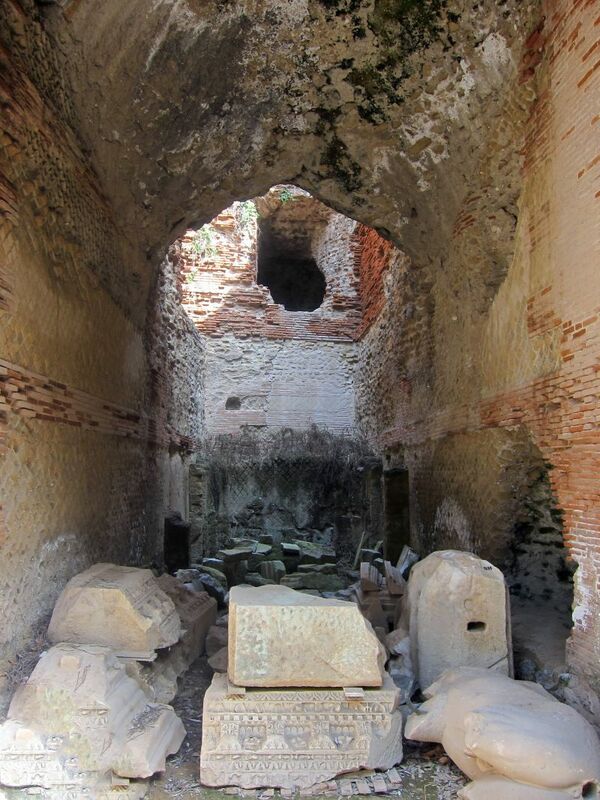 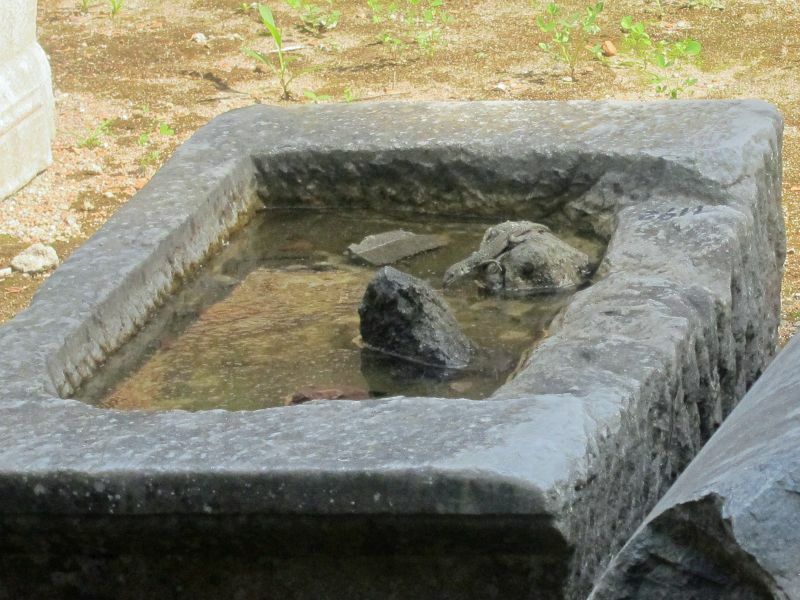 The site of the structure was chosen at the nearby crossing of roads from Naples, Capua and Cumae. 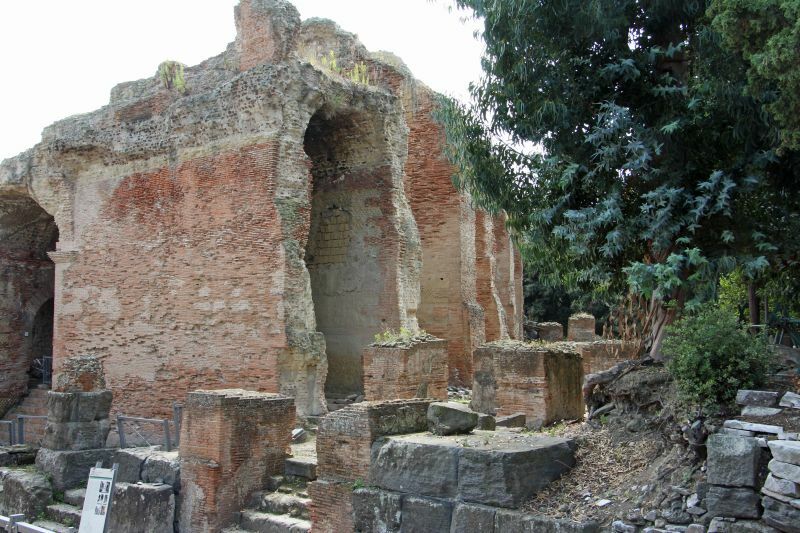 It was abandoned when it was partially buried by eruptions from the Solfatara volcano. 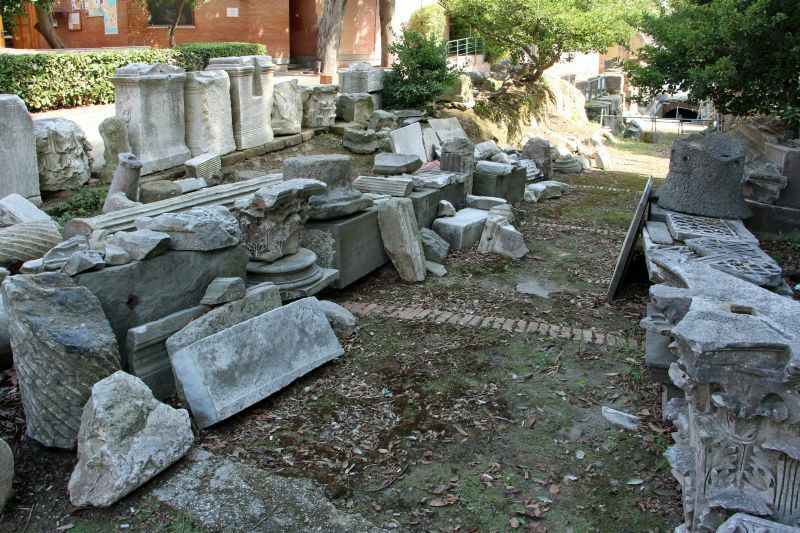 During the Middle Ages, the marble used on the exterior was stripped, but the interior was left alone and is perfectly preserved. 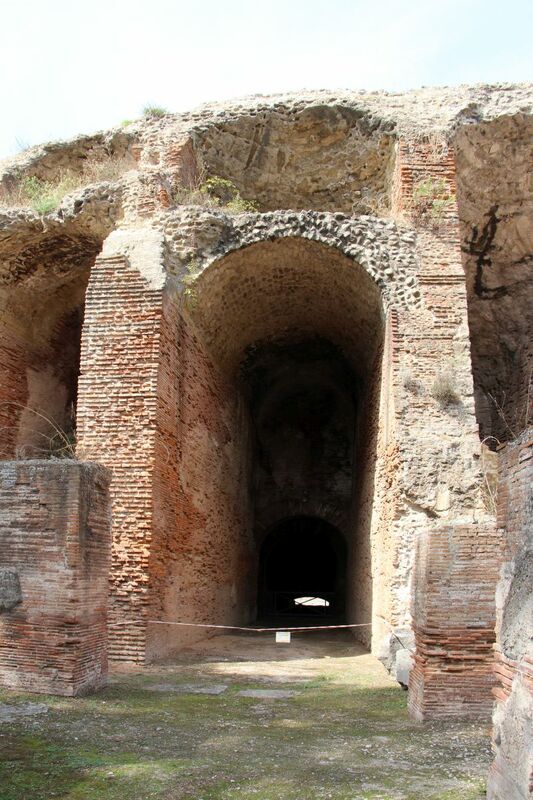 Excavations of the site were performed 1839 to 1845, 1880 to 1882, and finally in 1947.